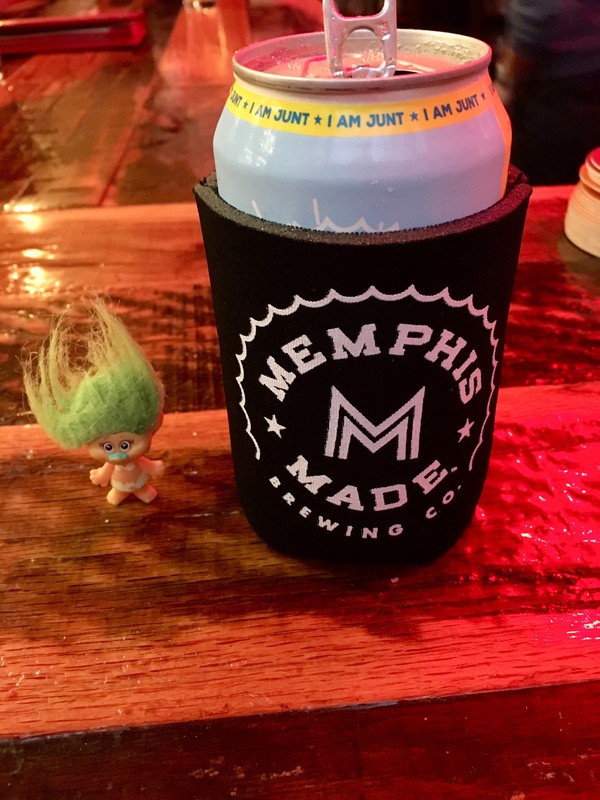 Yesterday I went to Aldo’s Pizza Pies for the unveiling of the 2019 Memphis Flyer beer bracket. 24 beers from the 6 local craft breweries will compete in a March Madness-style competition, with public voting to determine which beers move on from one round to the next. In previous years they’d matched similar style beers against one another. This year, however, they are doing it differently. They are letting the breweries choose which four beers they want to compete, with beers placed on the board randomly. Representatives from all six local breweries were in attendance for the event. 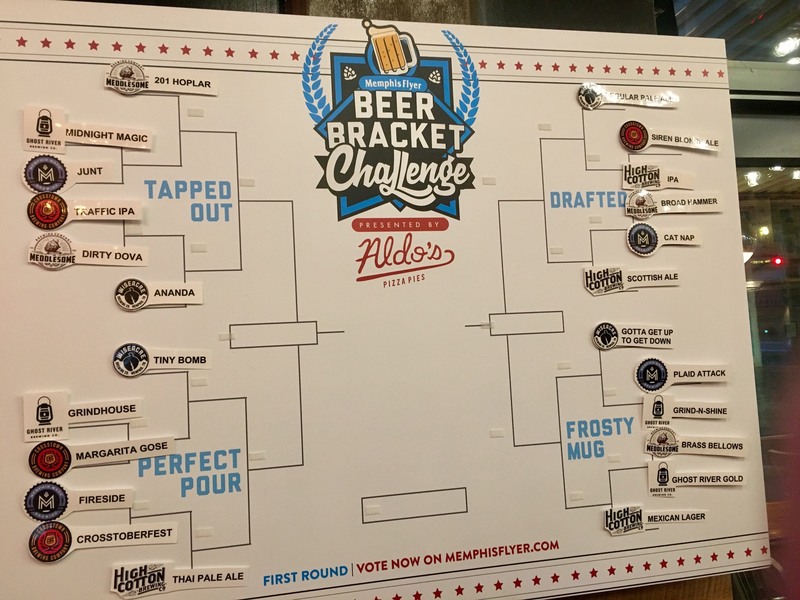 In an interesting twist this year, each brewery got to swap one of their beers with another beer on the bracket, avoiding an undesirable matchup. Although the beers are not grouped by category this year, an IPA vs. IPA matchup was randomly drawn for the first round. However, that matchup will not happen; when it was one brewery rep’s turn to do a swap, she moved her IPA, avoiding a first round against Crosstown Traffic IPA. Voting will begin tomorrow, and the rounds will progress rapidly, so it might be a good idea to follow @memphisflyer on Twitter to keep up with when a new round is started. The breweries will re-convene at Aldo’s on Thursday, February 28 for the awarding of the VanWyngarden Cup to the winning beer. Aldo’s, by the way, has all 24 competing beers, either on tap or in cans. Great place to do some research before you vote! 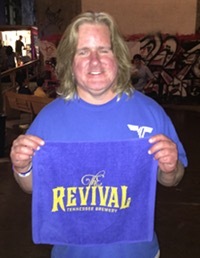 When people vote in the poll, they’ll have an opportunity to submit a photo of themselves with one of the competing beers for a chance to win a prize. 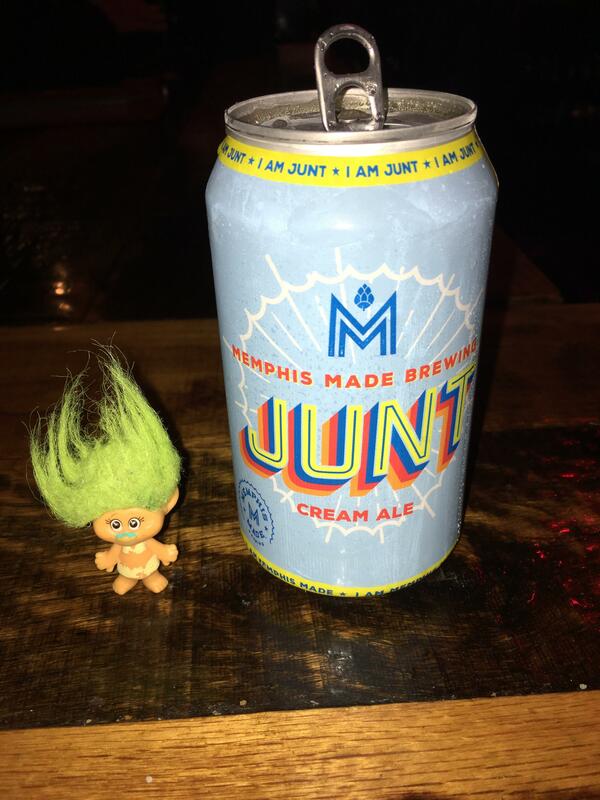 Knowing this, Perjorie T. Roll had her photo taken with Memphis Made Junt. Fun event for sure, and it got really busy there for a while. I got to talk to the Wiseacre sales manager for a few minutes and told him how excited that they are opening the new Downtown location. Breaking news: The CA reports that Governor Bill Lee is in town this morning to make an economic development announcement outside the former Gibson Guitar factory on B.B. King Blvd. It is believed that FedEx Logistics will be announced as a new tenant, bringing many jobs to Downtown Memphis. Tickets to any other event held at AutoZone Park during 2019. This could include any baseball or soccer playoff games held at the park, as well as any home soccer friendlies added to the schedule. Just as Golden Ticket holders got to bring someone with them to the chocolate factory, the holder of AutoZone Park’s Golden Ticket will be entitled to bring a guest to all games and events. Edible Memphis has a good article about how locally owned grocery stores are fighting the giants, building customer relationships, becoming part of the community and managing to stay afloat and prosper. Two local groceries, Cordelia’s Market and City Market, are spotlighted in the article. Anasa Troutman, executive director of Clayborn Temple, is a contributing writer in the upcoming book, Resipiscense: A Lenten Devotional on Dismantling White Supremacy. Click the link to learn more about the book and to pre-order a copy. The Grizzlies are back at home tonight, hosting the San Antonio Spurs at 7. This will be fans’ first chance to get an up-close and personal look at our new players. On Friday, February 22, the Grizzlies will give away a Jaren Jackson “Shoot” dance figure to the first 5000 fans. The Green Beetle is looking for an experienced server to join their staff. They are looking for someone who is available on weekends, and who has at least 4 years experience in bar or restaurant that serves liquor. That’s the news for now. This is a relatively early post (it’s not even 9:30) so I’ll come back and do a second one if needed. Next Next post: Wednesday update: Downtown is booming!